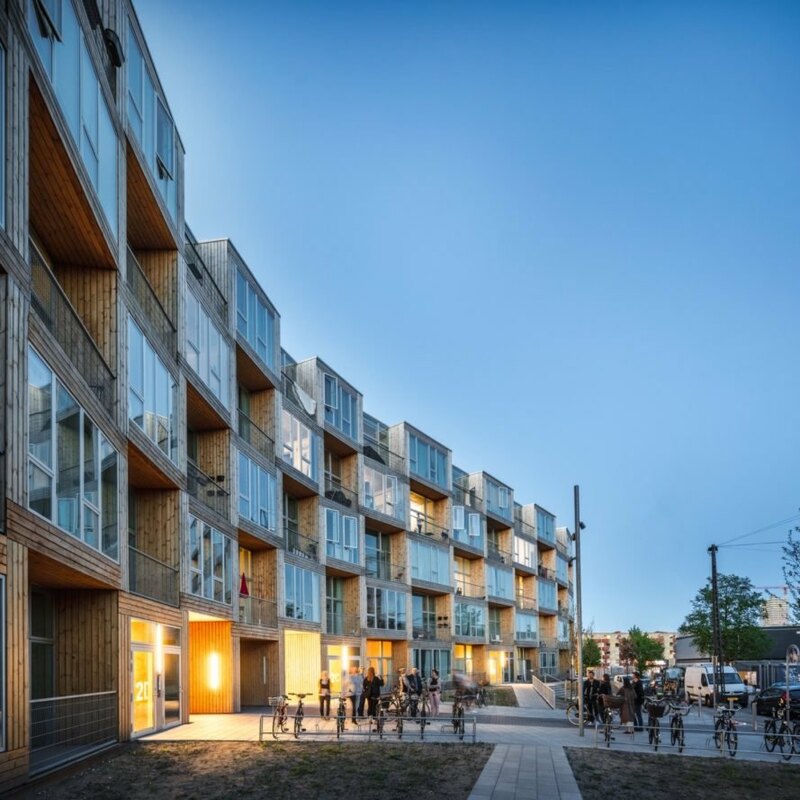 Beautiful yet affordable design-led apartments have been quickly completed in the northwest part of Copenhagen thanks to the power of prefabrication. 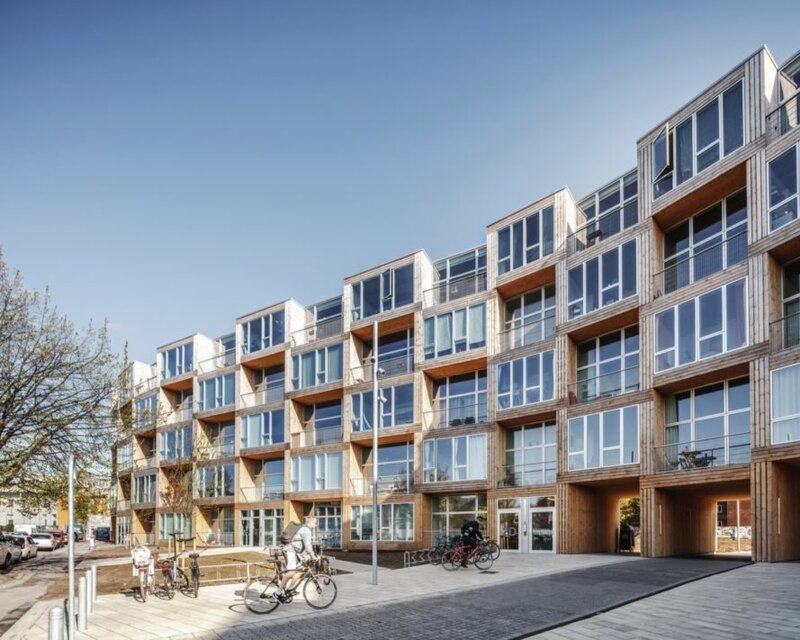 Designed by Bjarke Ingels Group as part of the non-profit affordable housing association Lejerbo’s “Homes for All” mission, the Dortheavej Residence is a 6,800-square-meter curved building with 66 new homes for low-income clients. 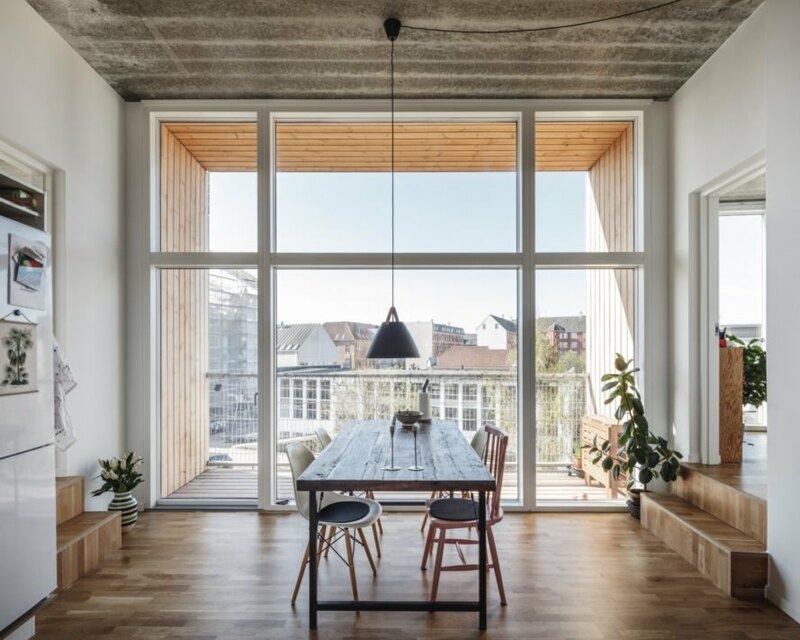 Clad in long wooden planks and stacked to create an attractive checkered pattern, the apartment modules feature soaring 3.5-meter ceilings and full-height glazing to let in plenty of natural light. 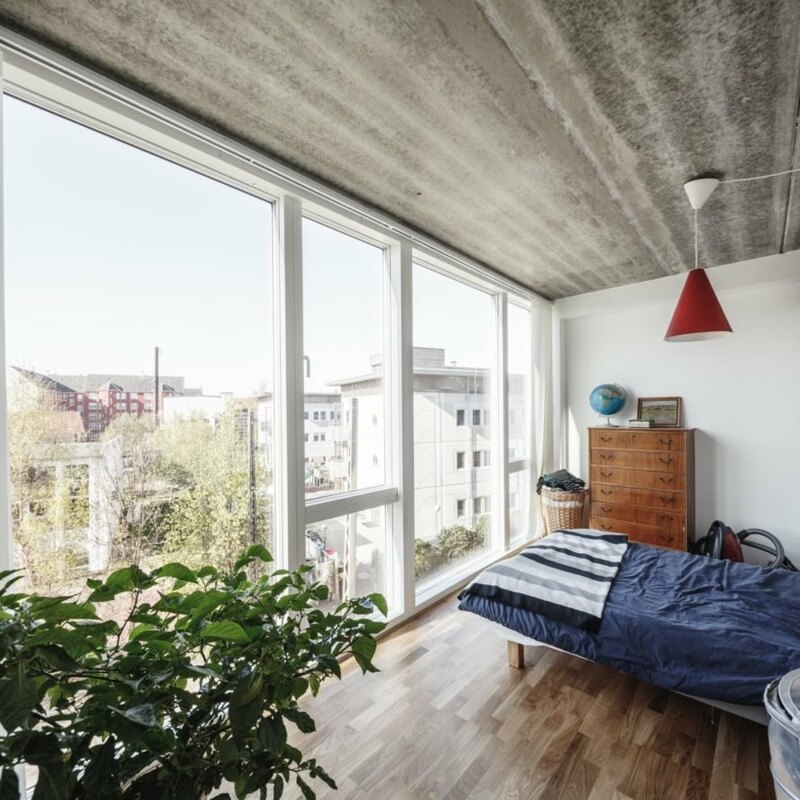 Completed on a strict affordable housing budget of $9.8 million, the five-story Dortheavej Residence consists of apartments that range in size from 60 to 115 square meters. 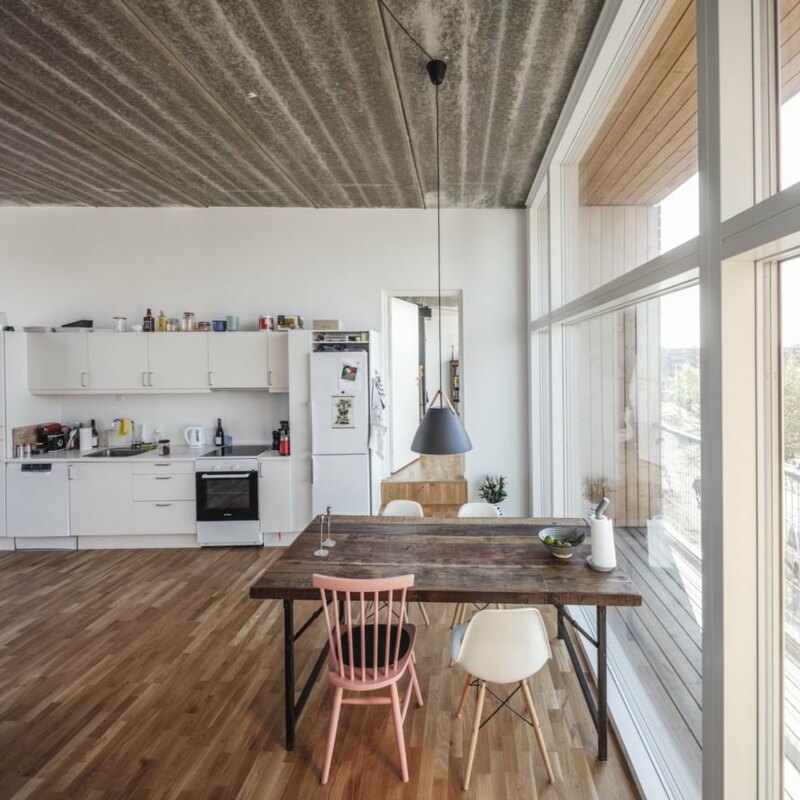 To keep costs low, a simple materials palette of concrete and wood was used. Since the new building is located in one of the city’s most diverse, low-income neighborhoods, the architects wanted to stress transparency and community. The full-height glazing, balconies and public spaces help achieve those goals. The curve of the building frames a street-facing public plaza on the south side that will be landscaped with cherry trees and bicycle parking spaces, while an enclosed green courtyard for recreational activities is located on the northern end. This affordable housing complex, designed by BIG, has been completed quickly thanks to prefabrication. The apartment modules feature expansive glass walls for natural light and city views. The structure is a collaboration between BIG and Lejerbo, a non-profit. BIG ensured the apartments are designed in a way that facilitates community. Simple materials like concrete and wood were used throughout. Balconies and glass walls promote indoor-outdoor living. Prefabrication techniques allowed the design to come to life with speed. The curve frames a public plaza one one side and a courtyard on the other. 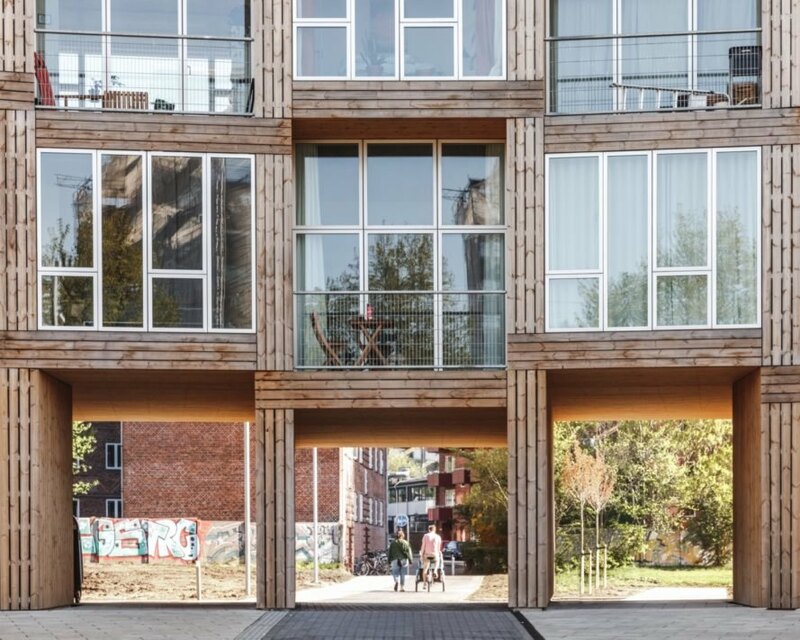 The structure allows for neighbors to become friends. Every module benefits from the glazed walls. The building provides low-income housing.